No more asking... "Have you got this in?" Due to our vast range and supplier network we do our utmost to make sure that we have medication ready when YOU need it. We work hard with our suppliers so that our customers are not kept waiting , so whatever the medication may be, we will have it in stock or have direct access to it. We try to keep ahead of the curve and even when certain types of medicine are short in the UK market or facing production issues, we will make it our challenge that our customers don't go without. We understand just how important medication is and the difficulties faced when you have problems getting hold of them. 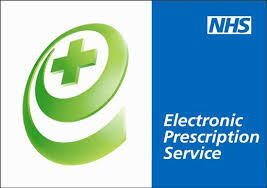 Most surgeries in Bolton are already sending electronic prescriptions to us. The next big thing in pharmacy is here!